After anti-corruption protests toppled the government in Romania in November 2015 and as the country prepares for local and parliamentary elections in 2016, this is the moment to reflect on the challenges the new government is facing and address how the country can move forward. It was not the investigation and subsequent indictment for forgery, tax evasion and money laundering of Prime Minister Victor Ponta that dealt the final blow to his government. Rather, his resignation on 4 November 2015 was prompted by two separate incidents in late October: the death of a policeman in an official convoy for then Interior Minister Gabriel Oprea and, a few days later, the fatal fire at a Bucharest nightclub, in which 63 people died and more than 100 were hospitalised. While neither of the events carried Ponta’s mark directly, they were a stark reminder of the impact that corruption within the political class has on everyday lives and the citizens of Romania. Despite far-reaching and substantive progress in countering corruption over the past years – the subsequent protests were the largest in post-Communist Romania. They targeted not only Ponta and his cabinet but the whole political establishment and the culture of corruption and complacency that remains within it. Even before the protests, Ponta’s weakened position and forthcoming corruption trial meant he was unlikely to carry on as Prime Minister until the 2016 elections. Since the start of the National Anticorruption Directorate (DNA) investigation against Ponta in June 2015, the premier’s support in both the government coalition and his own Social Democratic Party (PSD) had been waning. He lost control over the party in July, resigning as chairman. While the protests were the catalyst rather than the cause of his demise, they are nonetheless significant for the wider political trajectory of the country. Importantly, the scale of public outcry against corruption signalled a break with the complacent status quo and invested the new government with a strong mandate for change. On 16 November, parliament approved a new government, led by former Romanian EU Commissioner Dacian Ciolos and largely composed of technocrats with little or no links to the established political parties in Romania. The new government has signalled a genuine will to initiate long-term structural change in the political and public sector, but will have to strike a balance between the public demands for change and the political demands for continuity in the coming year, until parliamentary elections scheduled for late 2016. Recent political developments are the culmination of several years of simmering public discontent with the effects of both high-level and petty corruption in everyday life in Romania. This has been galvanised by a relentless anti-corruption drive that continues to expose the pervasive nature of corruption in the country. Ponta joins a growing number of other former premiers as subjects of DNA interest, alongside numerous cabinet members, members of parliament, party leaders, senior civil servants and prosecutors. At the local level, 92 mayors have been sent to trial for corruption offences between 2013 and October 2015, including the long-running Mayor of Bucharest Sorin Oprescu, who in September was accused of being involved in an elaborate scheme of bribery and influence peddling involving public contracts at City Hall. Despite this, corruption remains one of the key impediments for businesses in the country. Subsequent surveys indicate that a significant share of companies see corruption and favouritism as an obstacle to their operations – in the 2013 Eurobarometer, 81 per cent of companies indicated that corruption hampered competition and 65 per cent saw corruption as directly obstructing their operations. The problem is particularly acute in dealings between public and private sector, as opaque networks of relations and weak oversight – in particular at local level – have resulted in significant deficiencies in public tender processes. Manipulation of tenders occurs in various forms, including bids with fictitious competition, direct involvement or tailoring of selection criteria to favoured companies and lack of transparency in evaluation of bids. 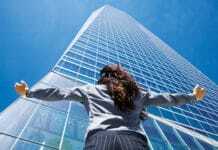 Outside the big cities, conflict of interest remains a notable problem as entrenched networks of nepotism and clientelism further distort competition. This has led to large financial losses for the state as tenders are regularly overpriced to factor in kickbacks. The EU has on several occasions blocked access to project funds on the basis of irregularities in public contracts and procurement processes. In Control Risks’ experience from working with clients in Romania, the specific issues that companies face, include distorted competition in tenders for public contracts, withdrawal of operating licences based on political and personal affiliations and excessive or unnecessary outsourcing of services in order to channel out income. 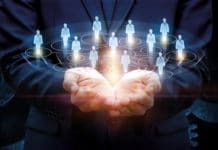 When local employees, subcontractors or partners are directly implicated in investigations, companies are exposed to potential legal disputes and reputational damage. 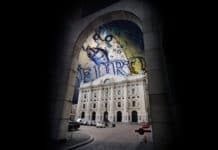 Several highly publicised cases against large multinational companies over the past years have highlighted risks associated with the ongoing anti-corruption drive and heightened attention to corruption by NGO and media. These reputational and operational risks are not limited to companies that have knowingly engaged in irregularities, as there are several known cases where companies have been implicated and publicly named in corruption investigation of subsidiaries and partners in the country. Undoubtedly, strengthened judicial independence and capacity have also had an impact on the private sector in the country, as the number of legal challenges of suspected corruption have increased exponentially. This is clearly a positive sign, both for investors and the wider struggle against corruption. The country’s legislative framework against corruption has been strengthened over the past years and is now one of the most robust in the EU. In 2006, criminal liability for both domestic and foreign legal persons was introduced and individuals found guilty of corruption now face large fines or imprisonment up to 10 years. Despite persisting weaknesses in implementation, enforcement has been bolstered over the past three years, largely as a result of the growing independence of anti-corruption bodies and the judiciary. The DNA has been the leading force in this development, in particular since the appointment of Laura Codruta Kövesi as chief prosecutor in 2013 and the presidential victory in November 2014 of liberal candidate Klaus Iohannis, campaigning on a strong anti-corruption platform. The number of criminal investigations, both initiated and concluded, have steadily risen and subsequent assessments by the EU Co-operation and Verification Mechanism (CVM), set up to monitor progress in the fight against corruption and other international assessments, have confirmed this positive development hailing DNA as an example of best practices for other states. Nevertheless, institutional capacity remains weak and legal proceedings are slow, in particular in lower level courts. Coupled with a rising number of investigated cases, this has created a significant backlog in the judicial system. More troubling is the lack of political commitment to support and strengthen anti-corruption efforts. This inconsistent political will is demonstrated directly, for instance in attempts to limit the criminal responsibility and conflict of interest rules for high-level public officials. Parliament’s refusal to suspend or lift the immunity of politicians and MPs investigated for corruption, directly blocking DNA investigations. However, the Constitutional Court continues to play an active role in limiting the negative impact of outright attempts to obstruct progress, which has been vital to ensure that strong regulations remain in place. More broadly, a critical factor that has impeded progress against political corruption has been the perceived lack of non-corrupt alternatives within the political class. Corrupt structures span across the political spectrum and the seeming lack of alternatives has resulted in a situation where corruption – even when proven – is not a decisive factor in elections. The protests in October and November signal that public attitudes to their political representatives have started to change, as there is a growing discernment that politicians are not above the law. In light of this, the new government has a formidable task in the coming year, as public expectations of change are high. However, the remaining structures of nepotism and corruption that have permeated the country for the past decades are unlikely to be brought down in a year. Given its limited tenure, the positive influence of Ciolos’s government will largely depend on if it will be able to introduce structural changes without being curtailed by political actors in favour of retaining the status quo. Ciolos has sought to tone down expectations in his first weeks in office, emphasising the short time frame and limited mandate of his government. At the same time, he has clearly signalled a genuine commitment to counter corruption and engage with civil society. Coupled with the fact that judicial and administrative reforms are among the top priorities of the government, these are positive signs. For instance, the government will introduce new standards for appointment and evaluation of civil servants, seeking to increase the effectiveness, professionalism and integrity of the public sector and has indicated that it will prioritise an overhaul of the current public procurement act, which is likely to boost the preventative legal framework. Despite securing a strong mandate from parliament – all parties except one backed the new government – key challenges remain. To some extent, the government is likely to be shielded from blatant political obstructions of its agenda for fear of prompting renewed protests. Nevertheless, Ciolos will depend on parliamentary majority to implement reforms, which opens up opportunity for political influence over key policy decisions, especially those that pertain to structural changes. Moreover, accusations of partisanship and failure to fulfil its mandate from some political actors, which could weaken the government’s position, both vis-à-vis the political parties and the public. The government will face another battle at local level, where scrutiny of relations between the public and private sector and standards of integrity is much less developed and enforced. Local elections are due in June 2016 and, given the notable influence of local leaders in their constituencies, the results will be vital to secure the national elections in December. The coming months are therefore likely to be dominated by the parties’ attempts to retain the support of local leaders which could prompt tensions between the government and the parties. On the other hand, recent events have led to a new impetus for internal reforms within the political parties to strengthen their chances ahead of the polls. The two largest parties and main rivals in the elections – the leftist Social Democratic Party and the centre-right National Liberal Party – have moved swiftly to put in place new codes of conduct and standards of appointment for their current and future representatives. This is likely to make it easier for reformist forces within the parties to expose and remove old structures of corruption, if there is a political will to do so. Though it remains to be seen if the top-level emphasis on integrity will have a tangible impact further down the party structures. In a less pessimistic scenario, this could provide the government with enough leeway – and leverage – to implement critical reforms. 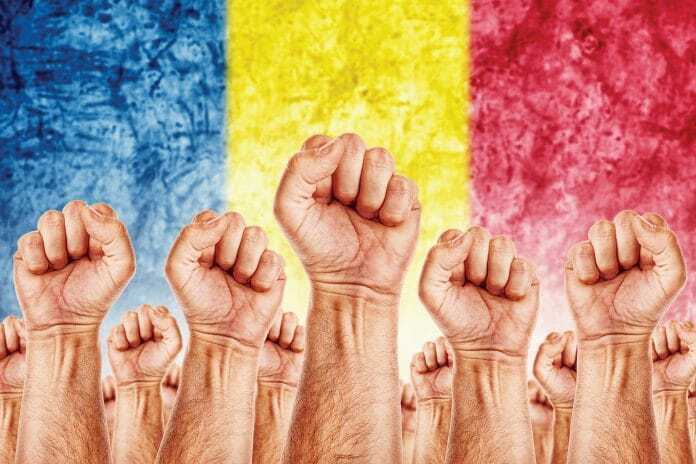 Despite the caveats, the new government will almost certainly have a positive influence on the judicial and social movement in Romania that demands higher standards of integrity in political and public affairs. For companies and investors, recent events have highlighted that appropriate procedures and strict compliance with integrity standards will remain imperative to successful and secure operations in this steadily growing European market. 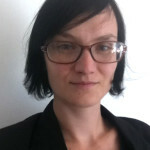 Stina Hartikainen is a Researcher of Global Risk Analysis at Control Risks. 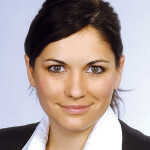 Ursula Radu-Fernolend is Consultant for Compliance, Forensics and Intelligence at Control Risks.